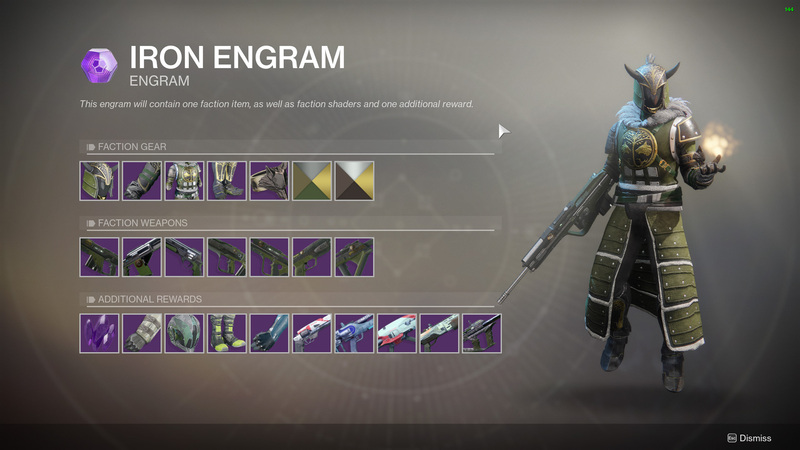 A guide to your Iron Banner needs in Destiny 2, including all weapons and armor found in packages. If I’m being honest, the Iron Banner was about the only PvP experience that I enjoyed in the original Destiny. It fell somewhere between every day Crucible and Trials of Osiris. You got a bit of a competitive session, but nothing as soul-sucking as the sniper-fest that was Trials. It was also a good place for your average player to get some cool gear. The Iron Banner is back in Destiny 2, but with some changes. 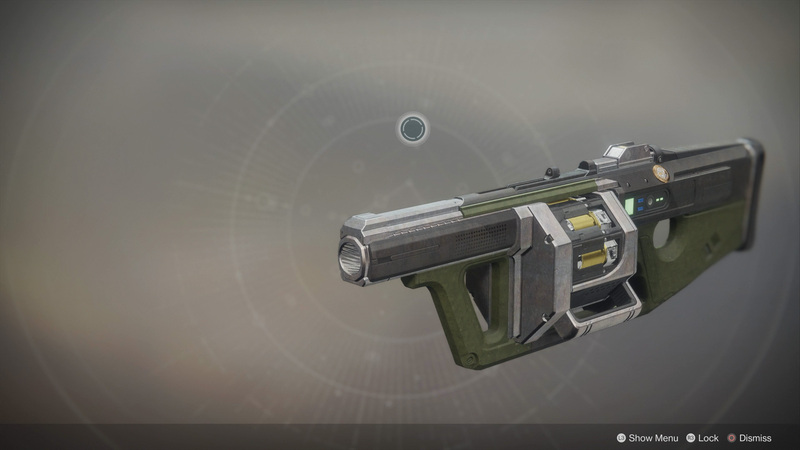 This guide will outline all that you need to know to enjoy the Iron Banner event, including what weapons and armor you can earn for all those Iron Banner tokens you’ll be collecting. To begin with the Iron Banner in Destiny 2, head to the Tower and speak with Lord Saladin. He will be located just above Shaxx and the Gunsmith. Once you interact with him you’ll get your Iron Banner milestone, and the Iron Banner Crucible playlist will show up in your Director. You can now launch directly into the Iron Banner from the Director and get started. Before you do, though, take note that you have two milestones in your Director. One is the daily and one is the seasonal. The daily Iron Banner milestone only gives you a reputation package that you can turn in to Lord Saladin to level up and earn a Legendary engram. The seasonal milestone, however, offers you a seasonal reward once you collect 10 Iron Banner packages during Season 1. That reward is nothing more than a unique emblem that you will not be able to earn after this current Iron Banner event running until November 27. One thing that is slightly different from the original Iron Banner in Destiny, is that level advantages are disabled. This means that you can use whatever gear you’re comfortable with, even if the attack or defense rating isn’t your highest. In this way, Iron Banner feels less competitive than it did in past years. The good news with Iron Banner, is that you not only get Iron Banner specific gear as you level up your reputation, but you also get gear drops (non-Iron Banner) at the end of each match, and your time will count towards your Clan XP and Call to Arms milestones, making this activity three birds with one stone. The daily Iron Banner Milestone is a small collection of challenges that you must complete while you’re playing the Iron Banner. Doing so will net you 15 Iron Banner tokens. You’ll also earn five Iron Banner tokens per win and two per loss, so winning actually pays much more than in past events. 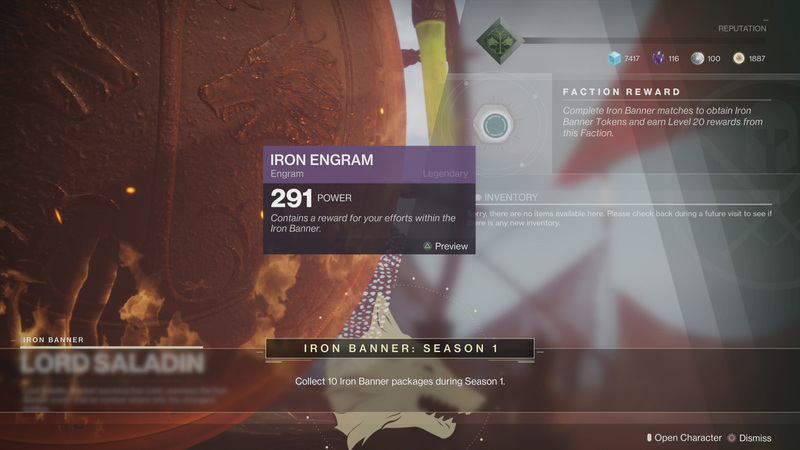 The seasonal Iron Banner milestone requires you to rank your Iron Banner Reputation up 10 times. 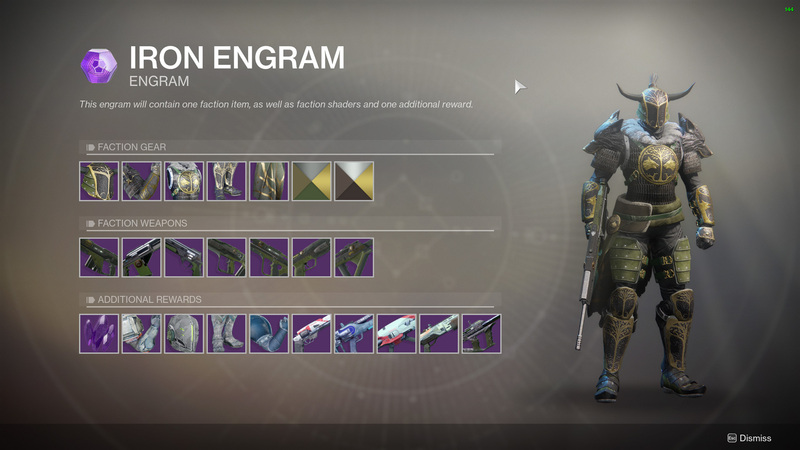 You’ll earn an Iron Engram and other rewards each time you do so, but it takes 20 Iron Banner Tokens to fully level up one time. You could do this easily if you’re knocking out the daily Iron Banner milestone for the duration of the event. The Iron Banner also comes with lots of exclusive gear. The Weapons are shared by all, while the Armor will be specific to each class. Except for the Cloak, all the Iron Banner Hunter armor comes loaded with resilience, which will increase the amount of damage that you can take. The Titan Armor is features the restorative perk, allowing you to regenerate your health more quickly. Like the Hunter armor, the Titan Mark is not included with this. The Warlock Armor, like the Hunter Armor, has the resilience perk on it. However, the Bond does not share the Resilience perk. Of course, collecting all the gear in one Iron Banner event could be difficult. 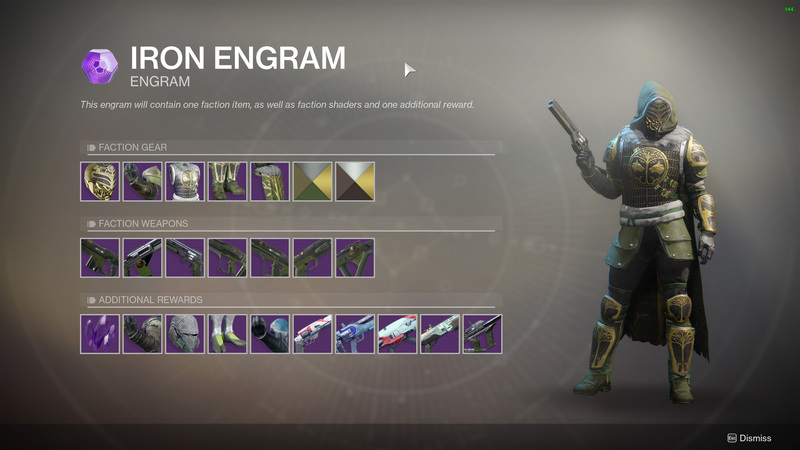 So far this Iron Banner I have earned eight Iron Engram packages and received three pieces of armor, but I also have a friend who has turned in five and received none. What makes this worse, is that we believe, like most activities, that there is a cap of 30 packages that you can earn per character in the Iron Banner event. If that's the case, it's possible you won't be able to collect a full set of armor, and this is likely your last shot at it. Thanks, Bungie! For more on Destiny 2 beyond what's in the Iron Banner packages, be sure to visit the Shacknews Destiny 2 complete strategy guide.